SCRAPiVERSE: "Obsession is more than just a perfume!" I got a hot tip from an unnamed source at 11:07am CST. Mr. Holtz's sanding grip refills were are marked clearance at Michaels for a dollar each. Yeah, they're just little rectangles of sandpaper. And I've tried sandpaper and those sandpaper 'sponges' from the hardware store- but they really don't work as well for me, Or I'm getting the wrong strength/grade/whatever it's called- but I really like these! So I ran over to Michael's on my lunch break. Grabbed five packages of Mr. Holtz's fine sandpaper and noticed- oh, Distress Stickles! Three packs! Three bucks! So grabbed the package containing Vintage Photo, Frayed Burlap, and Walnut Stain. Those are also three of my favorite Distress Inks. What a high! There were boxes everywhere. And actual, real life employees walking around! They were (GASP!) STOCKING THE SHELVES! While I'd love to believe those boxes were filled with all the latest and greatest products from Scraptopia, we all know it's just a bunch of shiny Jolee's crap. But a guy can dream. While I'm lost in my sensual scrappy daydream, I stumble upon a new display. I ain't seen this before! It's a new (newish?) line from Hampton Art, called Ditto. The designs were very simple and clean. Love them. 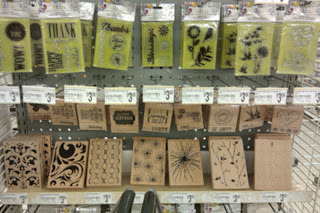 Really liked the large wood-mounted stamps, priced at 3.99 (?! ), especially 'Large Circles' and 'Groovy.' Really great background stamps, and sized perfectly to be used on a standard A6 card. And only 3.99?! 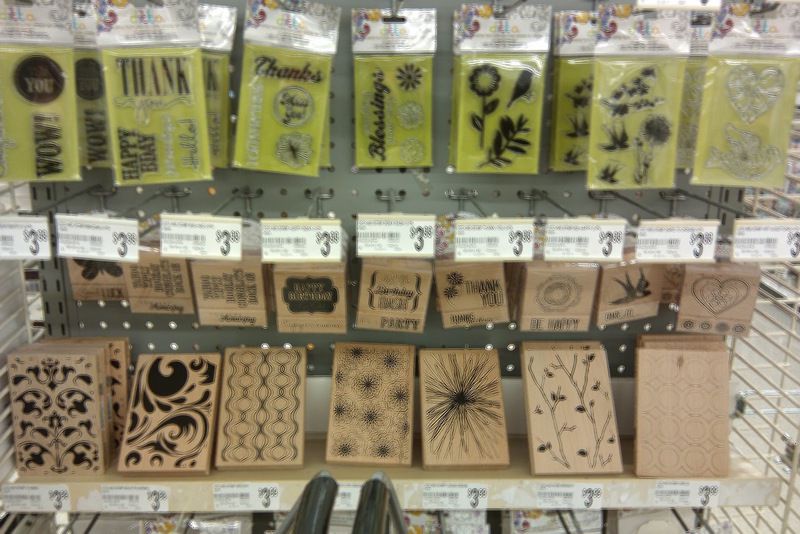 They also had an assortment of resist die-cut chipboard shapes, color mists (those didn't look too interesting- but I'm still reeling from my discovery of Mister Huey's), stamp pads, and some packages of masks. They are also worth looking it- very cool shapes. Here's a close-up of some of the stamps. I feel they give off a young, modern, clean look. Very decent stamps for this price! Oh my, why am I being tested so?! 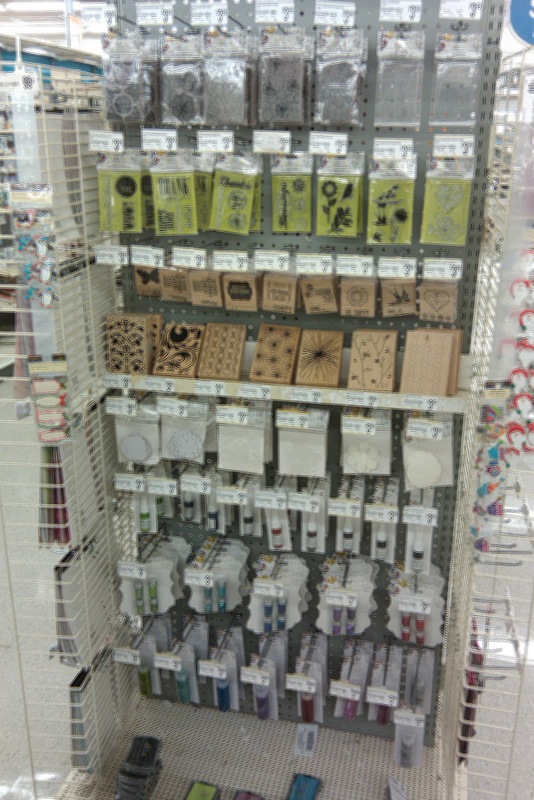 Email from Paper Arts, a great store here in the OKC area: ALL TIM HOLTZ DISTRESS MARKERS ARE IN, buy individually or the entire set with a discount! Please, please, twist my arm, Paper Arts!!! I just really like being able to have lots of things to choose from, when I sit down to do something! 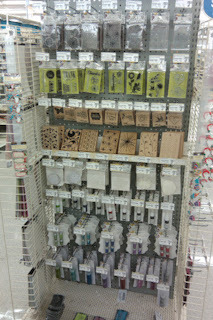 I raided the Ditto display last spring when they had TONS of background cling stamps for $1.50. They work really well! I've also used their clear stamps, which are pretty good too. I got several things 50% off over the weekend. Or maybe it was Monday. I've never seen or heard of Ditto, before! I was excited to see such nice lookin' stamps for that price! Just bought some of the Ditto stuff at my Michaels on Monday. They were on sale for $3.00 each plus a cool 25% off entire purchase. The stamps are so cool! LOL...said the pot to the kettle!! We hear about your exploits, I thought you'd love to hear about mine. Did I tell you I finally got the BigKick for $45 and a thing of nesties for $13? And packs of kraft paper for $1.99 minus 10%? lolol, of course I want to hear! I was just jealous that they were on sale for 3.00! Plus 25% off. Don't forget the 25%. LMAO. Dude, Home Depot = sandpaper. Doesn't the TH stuff say what grit it is on the back? And god yes, get the markers, I am so desirous!